OSCEOLA, IN. 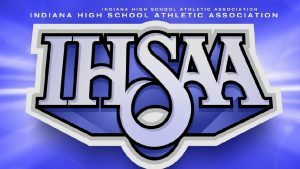 – Five LaVille Wrestlers will make their way to the IHSAA Penn Regional February 2. LaVille’s Matt Hominiuk, Levi Holderman, Nick Felke, Anthony Hatter, and Alex Cartwright will represent Lancer Nation at Penn High School. Doors open at 8:30 a.m. and wrestling will begin on three mats in the main arena at 9:30 a.m. The finals are scheduled on two mats beginning at approximately 1 p.m. Admission will be $7 and everyone should enter Door ‘D’. ● Spectators will not be allowed on the lower level of the arena. This area will be reserved for participants, coaches, and media. The top four wrestlers in each class will advance to the East Chicago Semi-State on February 9. The Semi-State will begin at 10 a.m. eastern.